Welcome to our helpful guide for Italy. Should you be looking to travel, live, relocate or do business in the sovereign state, we will give you a helpful head start on understanding the country and its cultures. Italy is a Southern European country, bordered by Austria, France, San Marino, Slovenia and Switzerland. Major Religion: Italy is a Christian country, with 88% of the population belonging to the Catholic Church (however only a 1/3 of these are active). Climate: Varies between the North (cool, mid latitude cersion of the Humid subtropical climate), and the South have a typically Mediterranean climate. 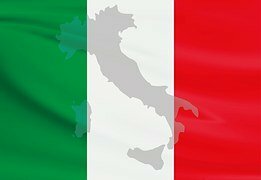 The official language of Italy is Italian and is spoken by approximately 93% of the population, there are also a large number of dialects spoken in the country. Family is extremely important in Italian culture, whilst in the north of the country the more typical Western family unit appears; the Nuclear family, whilst to the South it is common to find extended families often live together. The family is an important support network to Italians and in many cases provides the centre of their social structure and provides both emotional and financial support. Your clothing and appearance are very important in Italy, this is indeed a country where first impressions count! As a general rule it is best to dress formally for business meetings, and it is advisable to wear if possible high quality, co-ordinated clothing, such as a dark suit for men, and an elegant suit for women, accessorised with simple makeup and jewellery. Even for occasions such as just “popping to the shops” you will find that Italians would be dressed immaculately. Italian is the official language of Italy. It is also an official language in Switzerland, San, Marino, the Vatican City and Istria, and is spoken by over 85 million people globally. It is Italian is a Romance language and maintains many links in its vocabulary to Latin and is the 5th most taught foreign language in the world. If you want to learn Italian, it should be noted that the hardest aspect for English speakers is the pronunciation. Whilst Italian is the official language of Italy, there are a number of dialects that are spoken regionally, that also derive from Latin roots. The main languages that have arrived through immigration are Spanish, Albanian, Romanian, Hungarian and Romani. Italian is written in the Latin Alphabet, in the traditional alphabet. The letters j, k, w, x, and y are not used, except in loan words taken from other languages. Nouns can be masculine or feminine and as such their adjectives need to agree with them. Making a good first impression is very important in Italian social etiquette and you should be aware that you will most likely be judged first and foremost on your appearance. When meeting and leaving, Italians (whether friends or strangers) wish each other “good day” or “good evening”. Where there is an existing relationship, Italians greet each other with a kiss on both cheeks (left cheek first). There are many churches and places of worship in Italy; make sure you dress appropriately when visiting (shorts and sleeveless garments are not acceptable) and you should never eat or drink whilst inside a church in Italy. You should also ensure that your mobile phone is switched off. Eating and dining is an important part of Italian culture. Wait for your hostess to seat herself before you do and ensure that you don’t begin eating until your hostess has begun. 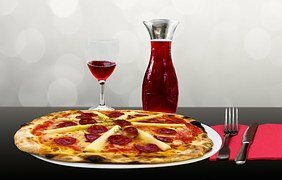 Wine is commonly served with meals and it’s likely to be regularly topped up. It’s considered rude if you refuse a top up, so if you don’t require more wine, try to keep you glass relatively full! 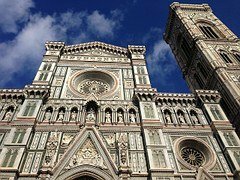 Christianity is the predominant religion in Italy, with most Christians belonging to the Catholic church, however there are an increasing diversity of religious beliefs and practises. Amongst religious minorities, Islam is the largest, followed by Eastern and Oriental Orthodoxy, Protestantism, Jehovah’s Witnesses, Buddhism, Sikhism and Judaism. Punctuality is expected in Italy, and it’s usual to shake hands when meeting someone for the first time. Remember, first impressions count for a lot in Italy so it’s advisable that smart business suits are worn by both men and women. The usual hours of opening for large business are Monday to Friday, 8.30am or 9am until 6pm or 6.30pm with one or two hours for lunch. Building close relationships is key to doing business in Italy. It’s always beneficial of you can find a well-connected person who can establish the right introductions on your behalf. Italians don’t hold back and it’s common for them to express disagreement and display constructive conflict during meetings and negotiations. Status and hierarchy are well respected in business, as well as all aspects of Italian society, and a there is also a huge amount of respect given to older people and people in positions of power. Avoid organising meetings in August and during Catholic festivities. The exchange of business cards is common in Italy and it’s a good idea to have it translated into Italian on the reverse. If you have a gift to give, it’s polite to have received a gift yourself before giving yours, and it’s advisable to avoid a gift which advertises your company logo. Business might be conducted over a long lunch which could last up to 3 hours. Italian names are made up of the given name, and the surname. Many Italian male names end in “O” e.g. Alberto, Carlo, Diego, Giorgio, and many female names end in “A” e.g. Adraina, Carla, Federica, Gianna. As mentioned previously, status, hierarchy, positions of power, and age, are all very important in Italian business, and the utmost respect is shown accordingly. Due to this, your team members should show you respect. Managers don’t often socialise with their team members due to the hierarchal nature of the position, so it’s important to spend time getting to know your employees and building trust during the working day. As mentioned previously, Italians tend to say what they think and won’t hold back if they disagree with something, so be prepared for meetings and discussions to turn into heated debates. Your team will appreciate being given the freedom to express their emotions and ideas. Constructive conflict can help them to work effectively and to build strong relationships. As their manager, it’s acceptable for you to show your emotions in Italy, however you should ensure that you take steps to manage your emotions to a certain degree as you are in a position of authority. 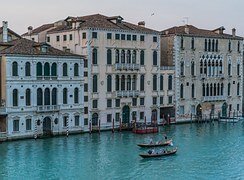 As Italy is a member of the European Union, it means that currently UK expats are able to live and work there without a visa, however you do need to register a “declaration of presence” with your nearest police station if you’re staying for up to 3 months, or for up to 5 years, you would need a certificate granting residency for this amount of time. This can be applied for at your nearest town hall in Italy. After 5 years, you can apply for a certificate of residency. The cost of living in Italy is close to the top of the most expensive EU countries to live in. Obviously, living in one of the bigger cities will always be more expensive than life in one of the more rural areas, where it’s possible to live much more cheaply. The banking system in Italy is modern and easy to use, and you should open a bank account as soon as you can in person. You will require your passport and proof of residency and evidence of employment, along with your tax identification number (which you can apply for at the Italian embassy in the UK, or at the Revenue Service in Italy, by showing your passport). Italy has a high unemployment rate currently, so it’s advisable if you can, to find a job before moving out there. Teaching English is always a good option, and temporary work is easier to obtain. Italy has a national health service (the SNN – Servizio Sanitario Nazionale) and it’s available to any Italian resident or EU citizen. Anyone who is moving to Italy should make efforts to learn the language. Many ex pats don’t, and it can make the difference of success or failure with your relocation. You can help yourself by taking lessons, asking work colleagues to speak to you in Italian and buying newspapers and books. Watch TV and films, and teach yourself to read. Italian is not a very difficult language to learn and it will help living in an Italian community, as Italians quite often like to communicate with gestures and facial expressions more than words. If you’re planning to relocate to Italy or planning to do business there we can help with your translation service needs. We have expert Italian translators who will work alongside you to fulfill your project. If you would like more information please get in touch.